Normally, when a clerk kindly offers to sell me “game insurance,” I can’t stiff arm them and bolt out the store fast enough. What are you insuring? That I don’t chew my disc in a fit of rage? Or mistake a Switch cartridge as a Wheat Thin? But I just bought game insurance. Before you commence eyerolls, hear me out. I just laid out a sizable chunk of cash for the latest Nintendo Labo kit – The Vehicle Kit. It’s awesome. Check the reviews. As I’m sure you know, it consists of a game cartridge and a stack of cardboard that’ll take you anywhere from 5-to-8 hours to assemble. Once you’re done, you’ve got three awesome accessories. Until your child – or, if we’re being real here – you accidentally spill a glass of water on your papery projects. So, what are you left with? A game cartridge and a useless pile of mush. “Ah, but you can order replacement cardboard directly from Nintendo,” you say. True! But have you seen the prices on that stuff? 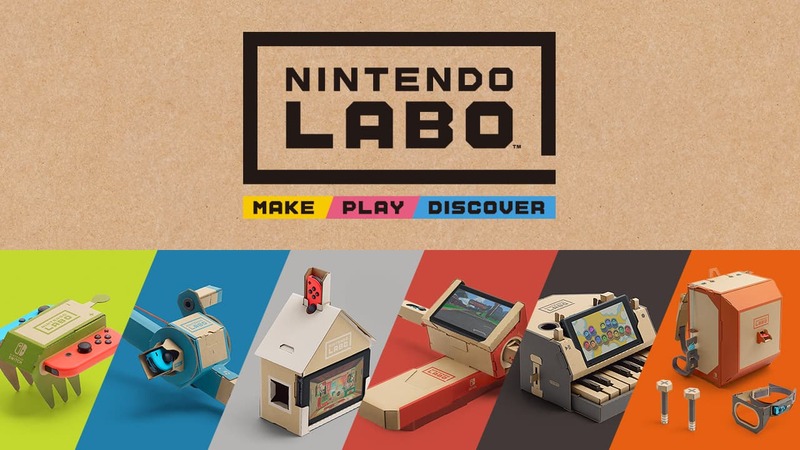 The Nintendo online store shows that the Labo Fishing set is $9 to replace. The motorcycle handlebars, $12. Pretty soon, you might as well buy a whole new kit. …or you pay for the game insurance. It set me back $10 to cover my purchase, but at least I can rest easy knowing that the first time I screw it up, I can replace it. While I’m a new convert to the game insurance racket, I spoke with a couple parents that are believers. Meanwhile, brother Brian McNamara recalled how back in the day his kid played hide-and-seek with a disc copy of Max Payne. He found it a month later, scuffed and under the rug. So, yeah, the kid “won” that round of hiding. If you don’t keep your game discs on absolute lockdown, you’re basically paying to child-proof your investments. Do you need it? Well you’re the best judge on this one. Obviously, it makes heaps more sense to invest in the insurance if you’re buying a disc. They are extremely susceptible to scratching and damage if you’re not careful. Things like Switch cartridges are a little more hardy – just don’t go dunking them in the sink. Of course, as we creep more into the digital download future, you’re less likely to need to lay out the cash. So long as you don’t forget your passwords. As for me? Here’s hoping I don’t actually need to walk back to the store with my Labo kit, a hangdog look and a pile of soggy peripherals. Is there any time you’re glad you paid for game insurance? Let us know!